Another day, another review. G.O.T deviates from any known formula – its story and characters span across many continents and each character has its own story to tell – they all matter. There are a lot of characters – some you might love, some you might hate, but you can’t help but admire each and every one of them. In a nutshell, Game of Thrones is a Game where people try to outwit each other, where people try to survive against all the odds and, of course, get laid somewhere in between those things. What makes the story unique, though, and what makes it deviate from other fantasy stories is its unique aspects of no main character. Sure, there are some that get more screen time than the others, but that actually should be a sign for you. 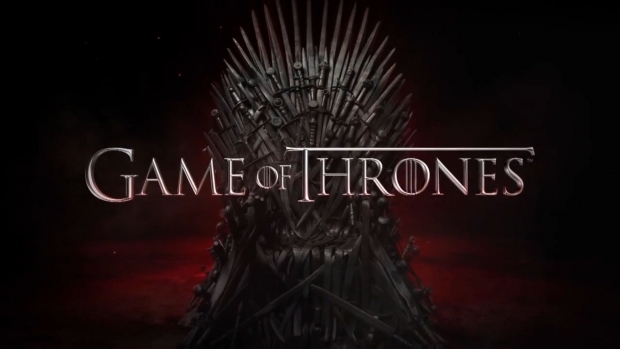 In the world of Seven Kingdoms and beyond, no one is safe – no one is certain to live. This alone makes the series even more interesting and creates odd sense of tension you can’t get off. I’m sure many people, even non-readers and non-viewers, have heard of the sheer brutality G. Martin possesses in his literary work. Well … it’s true. As far as the other things go, the scenery and locations are either breathtaking or distastefully brilliant. From the wood houses and stone castles at the North to the beautiful architecture of the Capital, to the empty, frozen lands beyond the North – they’re all impressive. The scenery alone invests you into the story, making you a part of it. Because the story spans over the entire world, you won’t be seeing one type of scenery through the entire episode – and I think that’s the thing that makes this show jump from a 9 to a 10. There’s just so much to inhale, scene after scene, episode after episode, and you never go “Oh God, I get it, there are walls all over the place and it’s cold and it’s snow” because takes jump from one side of the world to the other in the matter of seconds. As far as the soundtrack goes, it’s not as great as the things mentioned above, but it does the job. There are indeed some epic tracks, but most of the time, music stays in the background. Still, nonetheless, it amplifies the feeling of intensity as you watch the series. Game Of Thrones is dark. It is brutal. It asks sophisticated questions and denies us easy answers. And it is also beautiful, witty, complex and breathtaking. Whatever your views on fantasy or dark drama or TV in general, it is a show that demands to be experienced. There’s a lot to take from this television extravaganza. There are a lot of stories to be told, a lot of characters to kill off and a lot of battles to be held. And a lot of British accents to be heard from the actors. In all aspects it may not be a true masterpiece; still, no one can please everyone. For me personally, the lack of true fantasy, may it be dark or high is what makes me a bit … itchy about the series.